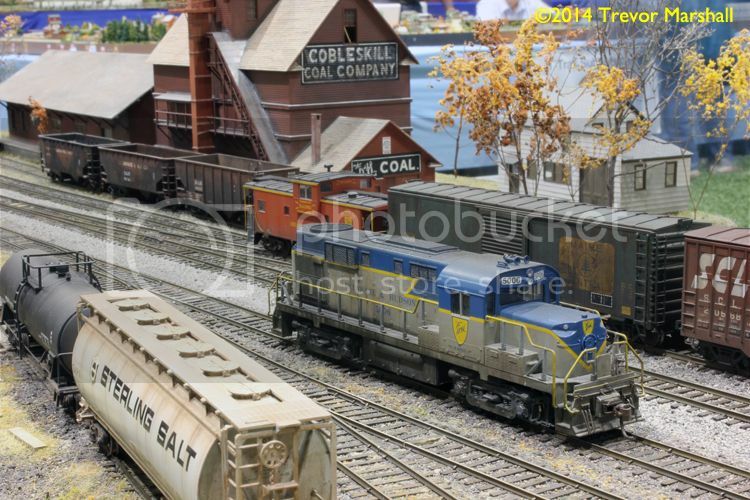 What a treat to finally meet Dominic Bourgeois at The North Shore Train Show this past weekend in Laval, Québec. What was most remarkable was his feature was presented in MR’s “Student Fare” (remember that?) – the space devoted to young hobbyists. His presentation was more impressive than many features written by adults and still stands, in my mind, as an example of the right way to approach proto-freelancing. In fact, several years later I had Dominic’s VTNE firmly in mind when I proposed to a friend that he use the Canadian National diagonal stripes on a dark blue background to create a plausible subsidiary of the CNR. It was great to finally connect with you, Dominic – I’m glad you could make it to the show! 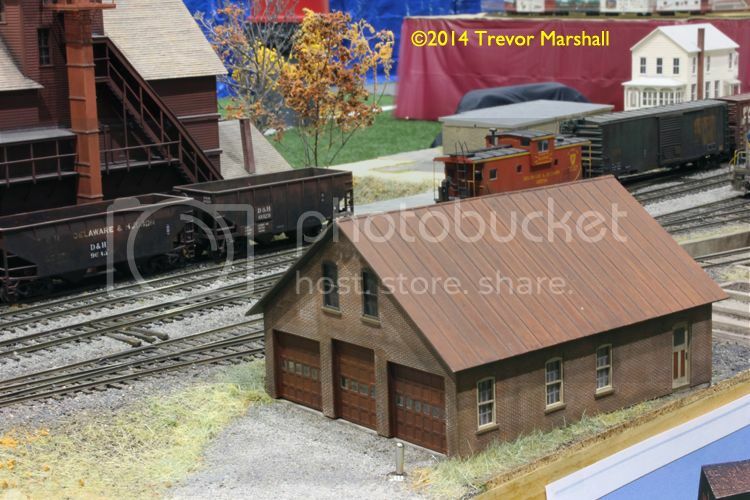 He was and is a great model railroader. 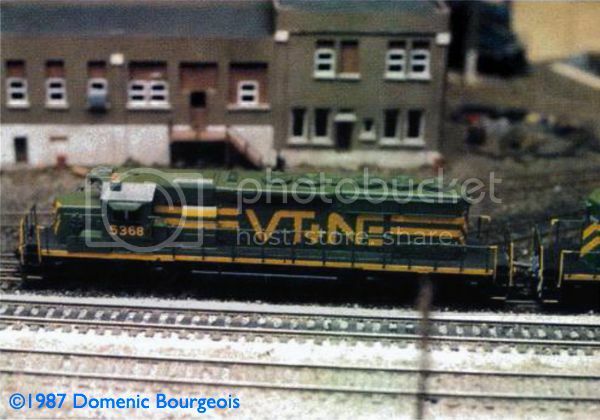 I remember his track plan as well as his paint schemes and spent many hours thinking how I might modify it for my own modeling interests at the time — a third crossing of the White Mountains between Portland, ME and Montreal, this time through Pinkham Notch rather than Crawford Notch or the GT’s Goreham Route. 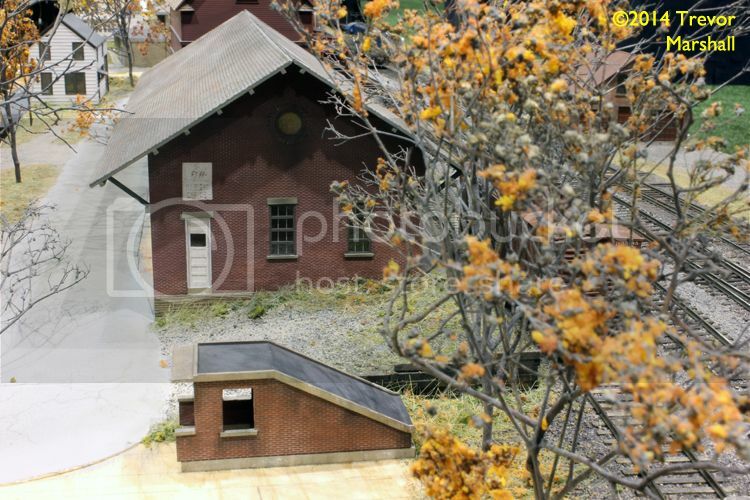 I was active at the time in the Appalachian Mountain Club so its initials, AMC, became Androscoggin and Mt Chocorua. But I moved house and moved on to different interests. IIRC, he was studying architecture at the time. He certainly did terrific renderings! 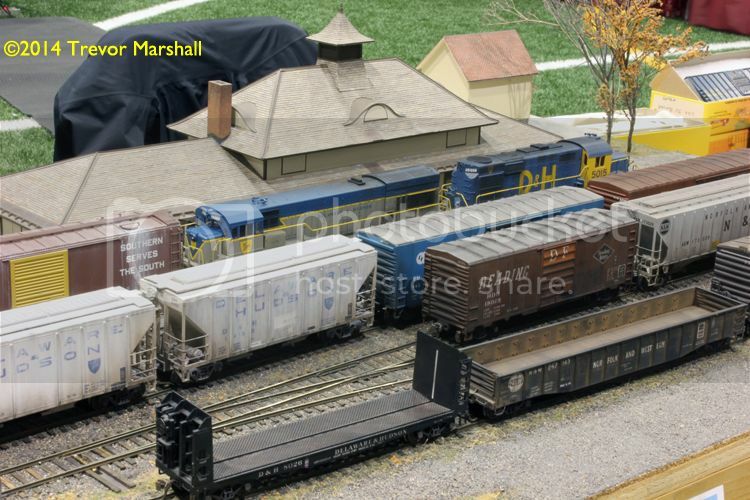 I would love to know more about what he is doing in life and in model railroading and, of course, to see a recent photo. 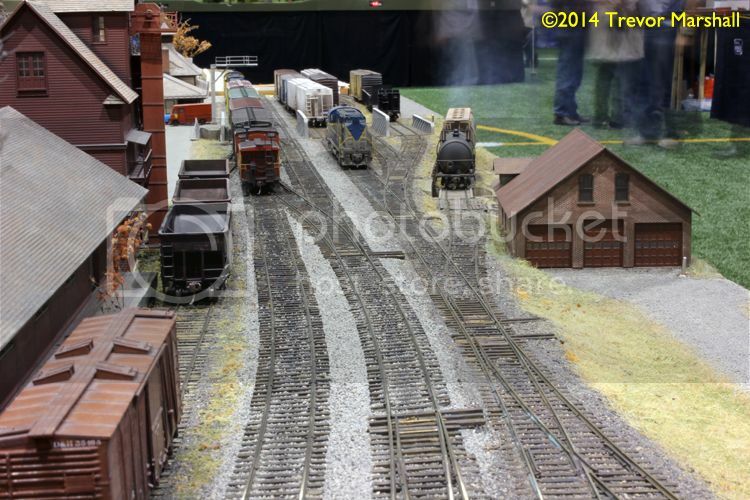 Great photos, video and write up of the of the North Shore Show. I am a big fan of Dominic’s first book. 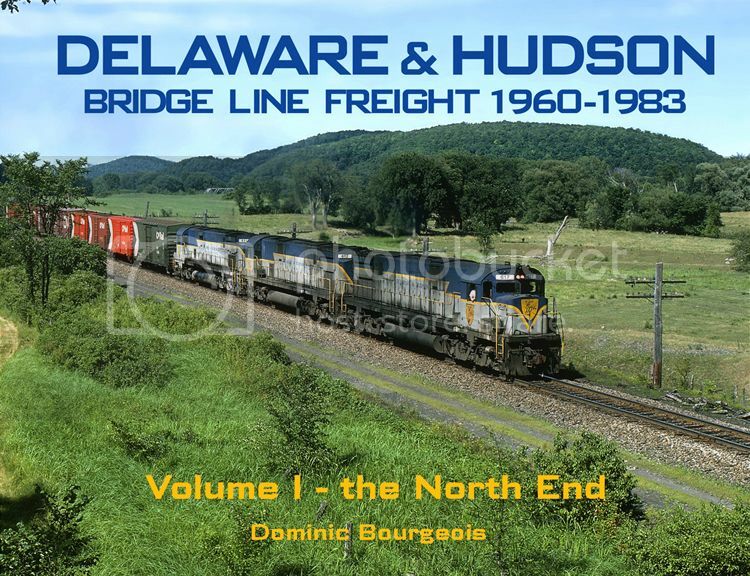 I am going up to visit my in laws this weekend which means a trip to Lark Spur Line in Merrickville, hopefully they have Dominic’s second book in stock as I have been looking forward to this for a while. 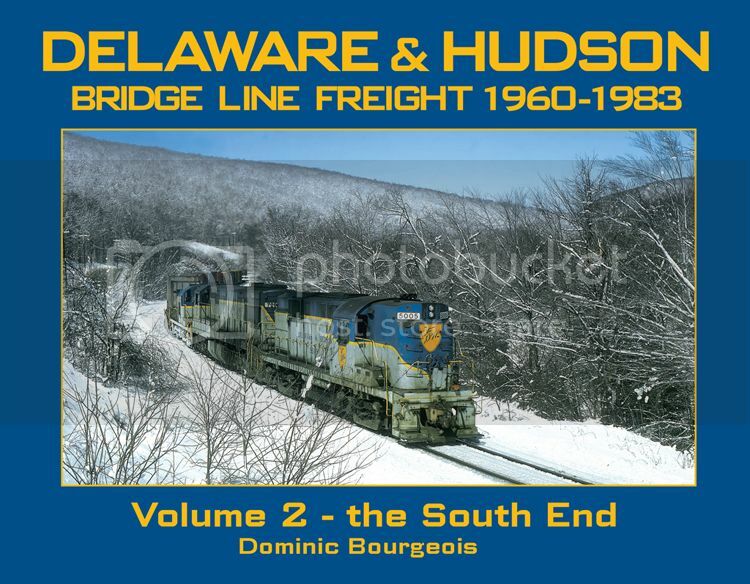 What could be better than relaxing after Thanksgiving dinner with a new photo book on trains!! 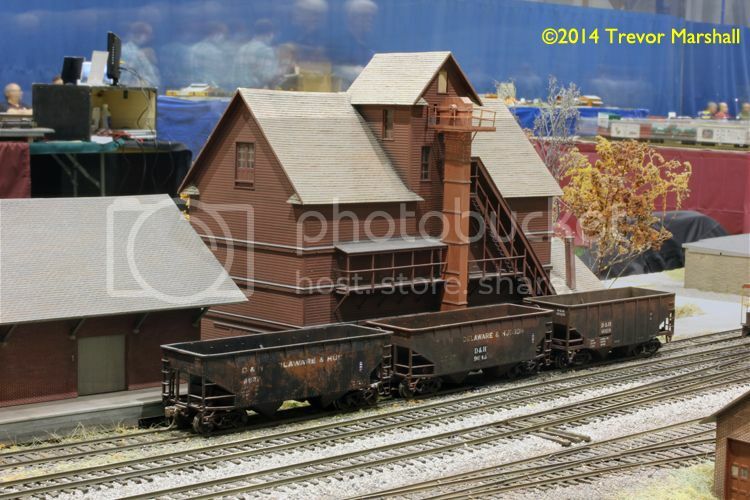 I love the Depot on his Diorama.